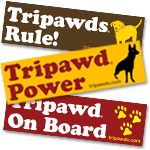 The love of the Tripawds community is felt wherever you roam, from the Tripawds Discussion Forums to the Tripawds Helpline and beyond. And starting this Monday, October 1st, you can surround yourself with even more Tripawds magic if you place the winning bid for the 2018 Tripawds Quilt Auction! This Tripawds Quilt Heirloom Could Be Yours! 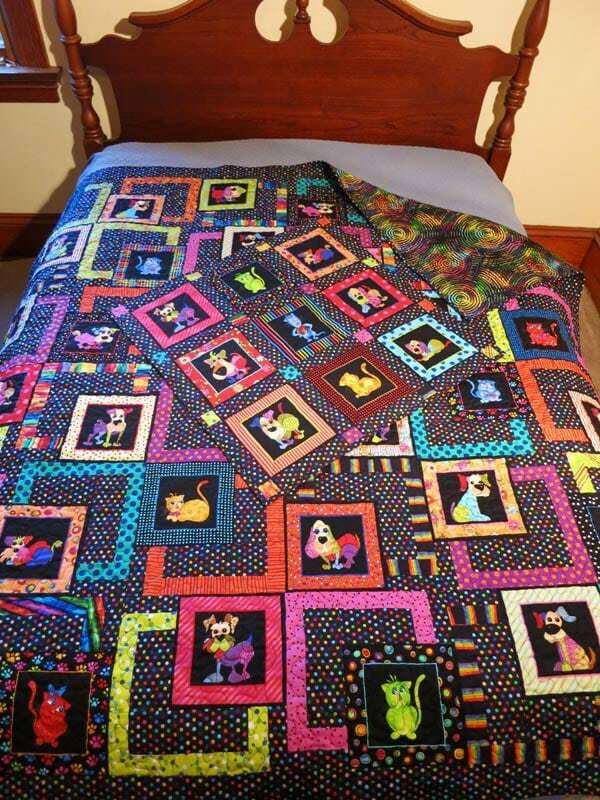 Will your bid win this Tripawds quilt? Handmade quilts sure are precious heirlooms. There’s none more special than those made by our talented Tripawd member, Kathi Swindell. 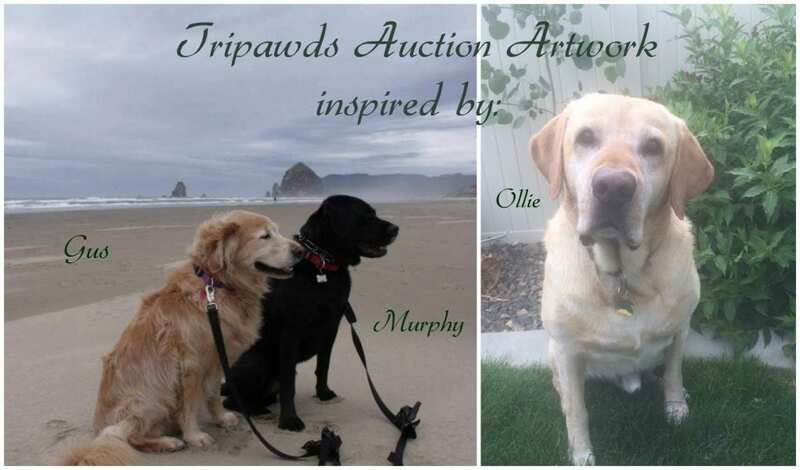 As parent to Amazing Ollie and Angels Murphy and Gus, Kathie and her crafty daughter have created another winning work of art for this year’s auction to help Tripawds Foundation. They’re even more spectacular in person! The Swindell women generously created two works of art, just for this auction. the second pet-sized one measures 28″ x 27.5. The colorful dog and cat themed front is backed with dreamy matching fabric guaranteed to put a smile on your face every morning. You’ll have a hard time deciding if you want to use them to keep you and your pets warm, or decorate your home with these one-of-a-kind pieces of art. 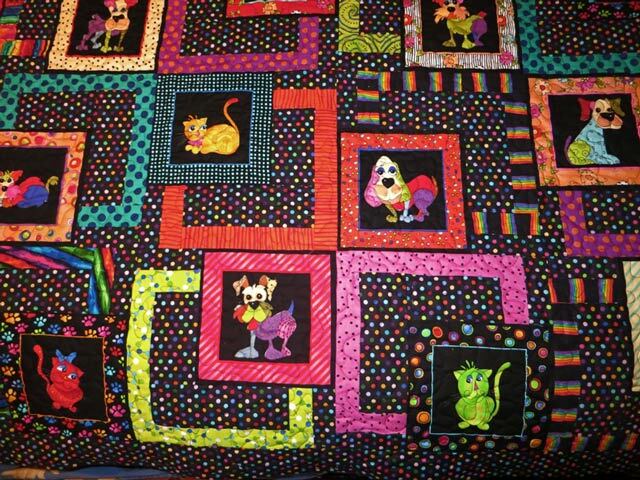 Cat lover or dog lover, every pet parent will love this quilt duo! 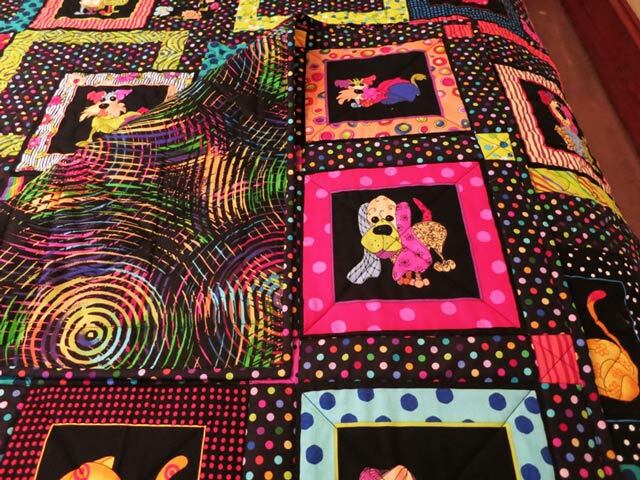 Last year the Tripawds Foundation received over $500 from the sale of Kathi’s previous handmade heirloom quilts. Want to help break the record and bring in even more to help Tripawds Foundation? Get ready! More details will be announced in the Tripawds Foundation Friday news post, so stay tuned. 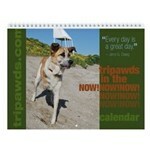 And remember, 100% of the sale of this item will benefit programs of the Tripawds Foundation. 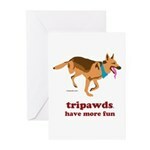 Tripawds Spring Bling is On Sale! This is so awesome Kathi. Thank you for donating your special time and beautiful Quilt for this auction. Thanks, Michelle. These were sure fun to do. Tears because I’m so touched by the generous hearts behind the making of these quilts. So touched because Murphy and Gus are still having such a powerful impact on this Tripawd community. Awwwww, Sally. Thank you so much. Making these is my way of giving back to this wonderful community that has meant so much to me.